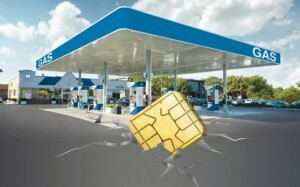 EMV card readers need Ethernet but most forecourts are not wired for Ethernet. Now CopperLink enables you to use your existing cable. Gas station operators find themselves in need of replacing their CRIND (fuel system) and POS systems to comply…but it is not as simple as changing the terminals. Fuel merchants must now prep their sites for EMV by enhancing site wiring to support a broadband connection to the dispensers.